Shimmering aqua blue waters, soft sandy beaches and a first-rate pampering experience awaits at Hotel Emporio Ixtapa in the Bay of Palmar, Mexico. Between the sea views and majestic mountain views, it's difficult to decide which is more beautiful. Most rooms feature either stunning seaside views or breathtaking mountain views. In your luxe accommodations at the Hotel Emporio Ixtapa, you'll enjoy a terrace that overlooks the sea or evergreen mountains, cable or satellite television, LCD TV with DVD, Wi-Fi, air conditioning, toaster and microwave in some units, a coffee maker, mini bar in the room and room service. You'll love the close proximity of the stunning outdoor swimming pool with a sunken bar and the relaxing Jacuzzi. Visit the breathtaking lobby for concierge service, ATM currency exchange, and a nearby boutique, beauty salon and car rental services. At your resort, you'll love having tennis courts, a fitness room, Oriental spa, a lobby bar and three uniquely delightful restaurants to fulfill your dreams of culinary delights. The choice for Mexico timeshares for sale means that you'll be free to visit when you get the urge for total relaxation and pampering. Enjoy table games, play tennis on two courts, rent a bicycle and go exploring, visit nearby Ixtapa with its interesting attractions or enjoy a golf game at your choice of two courses that are just five minutes away. Let kids explore the Kid's Club for a fun afternoon. Enjoy a day at the beach from the comfort of a beach hut. Explore the 800 boat marina, or go shopping at quaint boutiques and jewelry stores. Activities for all ages are one of the best aspects of your vacation when you choose Mexico timeshares for sale. Any visit to Hotel Emporio Ixtapa provides an exceptional authentic Mexican getaway. All the things you adore about Mexico are found here, along with helpful resort staff. 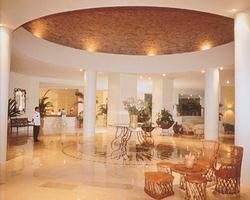 One step into the luxurious marble domed lobby, and one look at breathtaking tropical gardens and the private beach and you'll know that you've made a great choice! 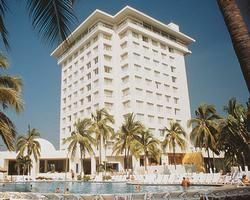 Contact Hotel Emporio Ixtapa Specialist Today!